Rear Light Bar - Sauber Mfg. 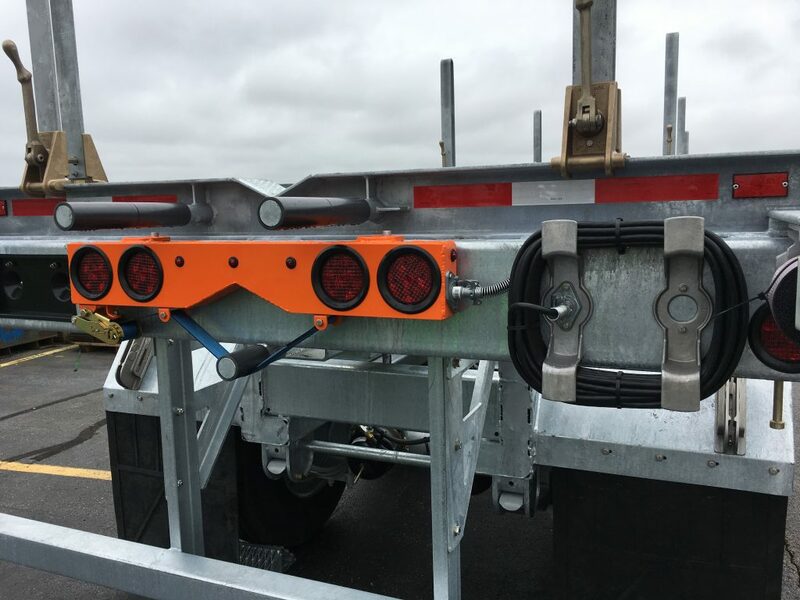 Co.
Our fluorescent orange powder coated aluminum light bar for Pole Trailers provides FMVSS 108 lighting at the rearmost pole position. 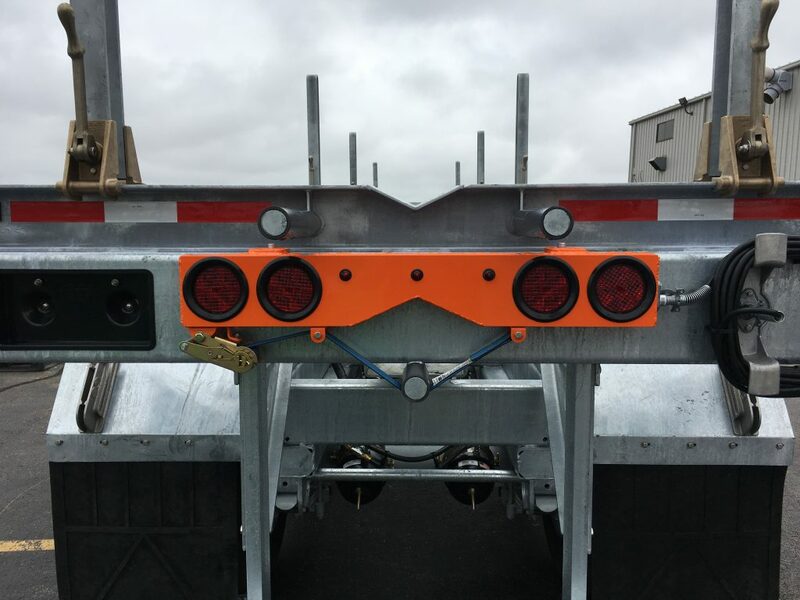 It’s an integral part of the trailer, so it’s always there, ready and working. An exclusive Tread Grip lined “V” combined with a 2″ nylon ratchet binder provided on the light bar, assures a firm hold on the pole. Best of all, it keeps your operators and equipment safe and legal. 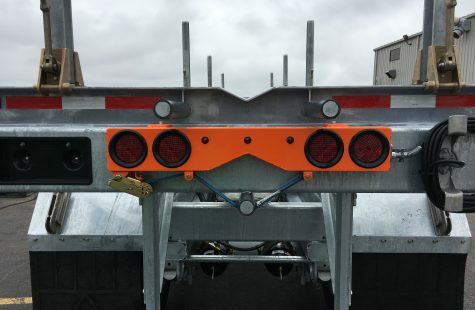 Visible – The fluorescent orange powder coated finish draws attention to the trailer’s signaling and intentions.